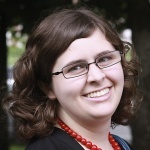 Annie is a welcome addition to our BlogSavy team of expert authors. She has an exhaustive writing background and has written some great blogs on topics that were really needing some attention on the Internet. As a professional copywriter, she’s concise and to the point. We like that, and I’m sure you’ll like what she has to say also. Ms. Guthrie has been writing comprehensive self help and do-it-yourself articles for some of the top Internet publications since 2004, and we’re proud to have her on our team.